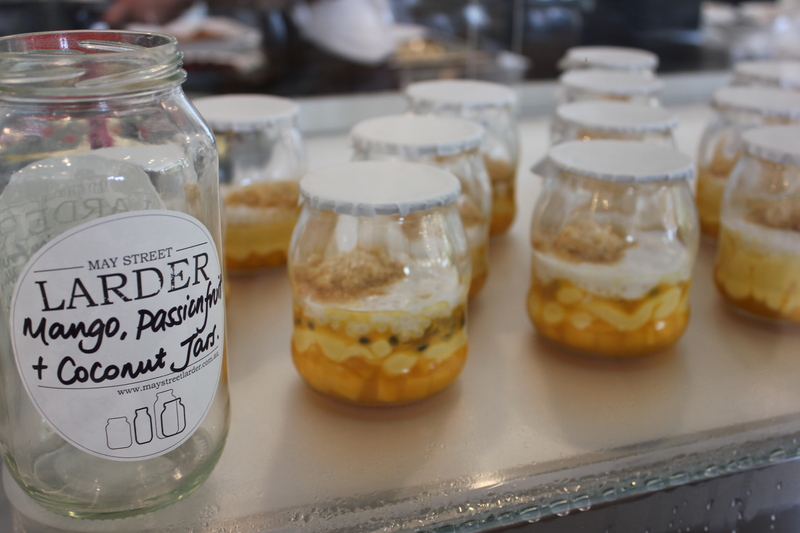 Last week, I was invited to the launch of May Street Larder in East Fremantle, a few days before its opening. Surrounded by glass windows, the place is full of light. It was new, bright and airy. May Street Larder is brought to you by the men behind Bib and Tucker; olympic swimmer Eamon Sullivan and Head Chef Scott Bridger. 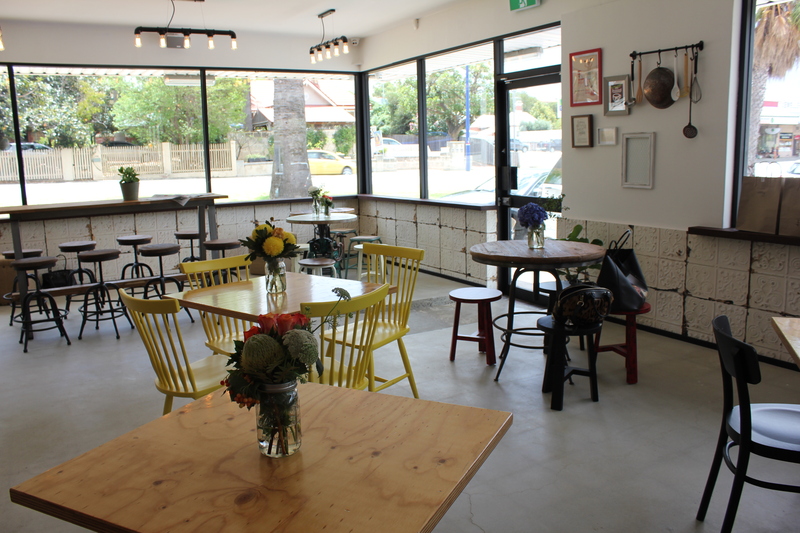 Apart from serving good food, May Street Larder has an in-house larder-style deli that stocks homemade preserves, pickles and cured meats while keeping on trend with raw, vegan and paleo food with a changing menu. 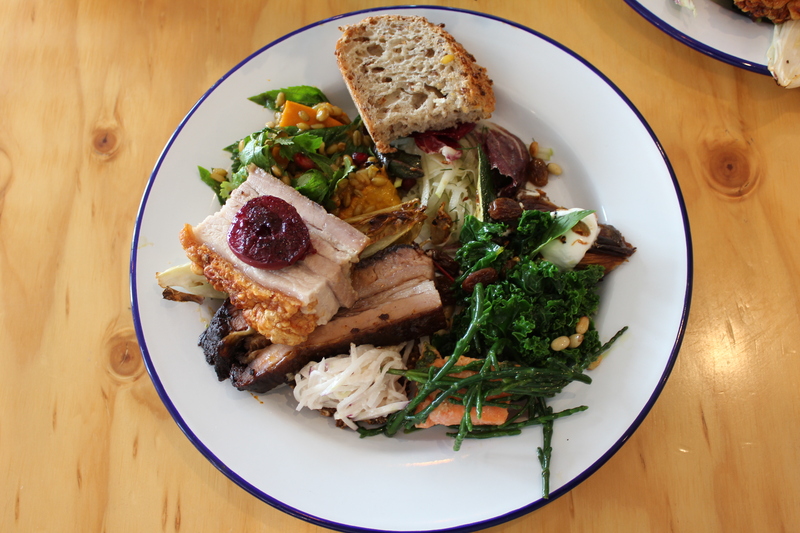 May Street Larder also adopts a concept of dishes being sent out with a fast-food style from the kitchen, so you will not have to wait too long! 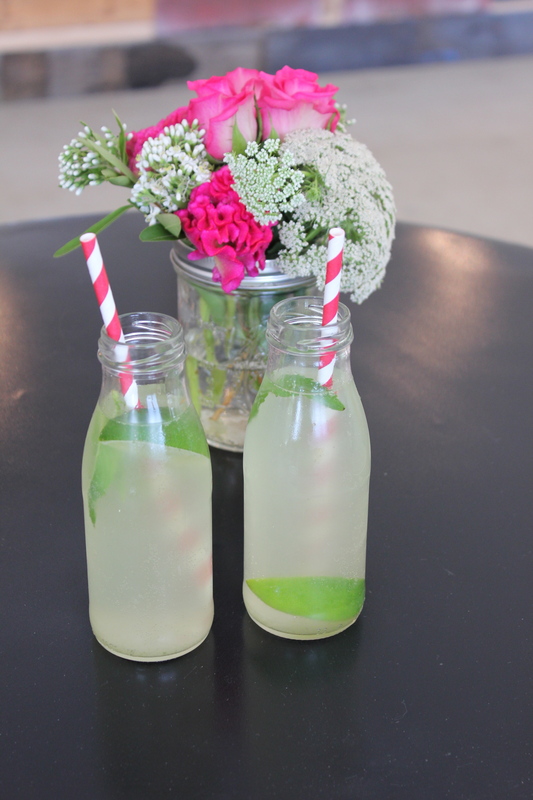 As it was a warm and humid summers day, we were in for a treat when we started off with a refreshing drink from the Juicist. I had the ginger lemonade and it was definitely a thirst quencher! We were treated to a feast of food from the kitchen with plenty of variety for us to taste each dish. There were breads, salads and vegetables, proteins to desserts served in jars. Looking at the array of food lined up for us, the food were fresh and bursting with colour, looking very delicious and healthy at the same time. Being a foodie, I tried everything. 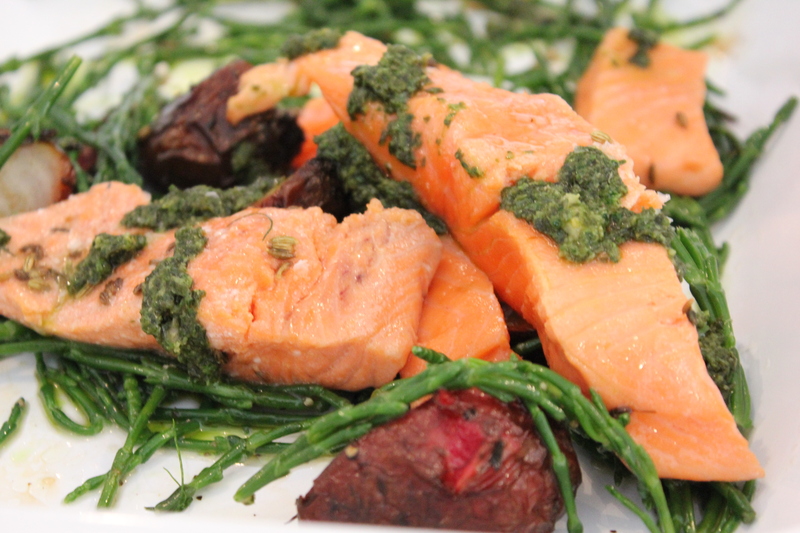 The confit trout was my favourite – it was spot on moist and fresh. 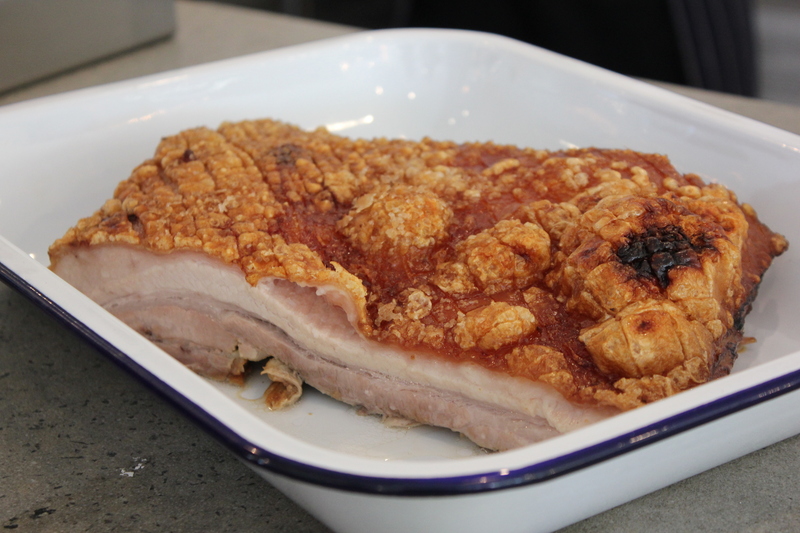 The pork belly crackle was crisp to perfection. It was crunchy and the pork belly itself was juicy. Oh so good! The beef brisket was soft and tender as it was slow smoked. Not forgetting the salads and vegetables too which were fresh in flavour! I particularly enjoyed the Freekeh salad as it has a moor-ish flavour with an occasional crunch and sweetness from the pomegranate. YUM! 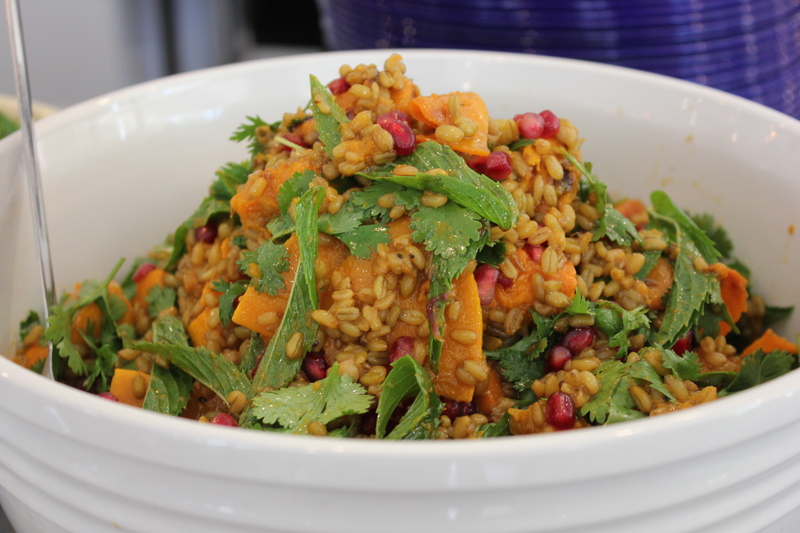 Freekeh, roasted and pickled pumpkin, pomegranate, spiced pepitas and fresh herbs. Check out my plate of food!! To finish off, we were also offered some CocoWhip. 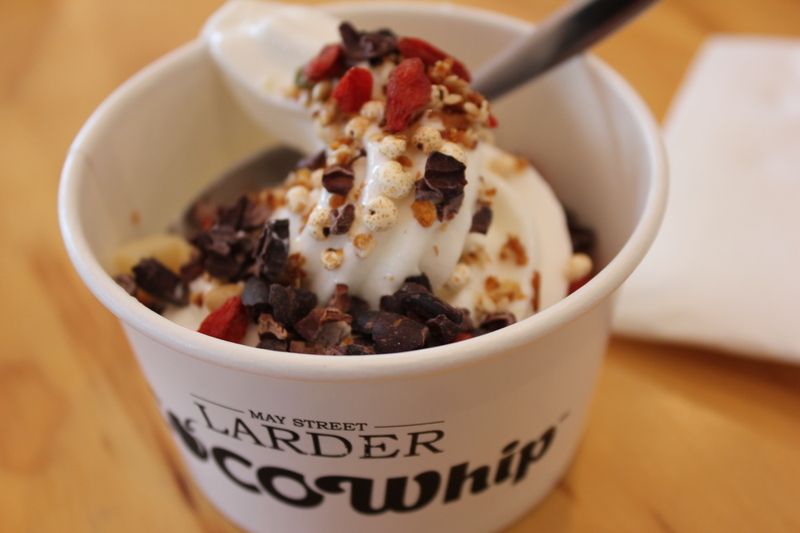 May Street Larder is the first place in WA to serve CocoWhip to their customers. CocoWhip is made from coconut water. It is super healthy and it is a 100% vegan soft serve ice-cream. It’s sugar free, 99% fat free, gluten free, dairy free and lactose free – free from all the nasties! Oh and did you know that the sugar content of CocoWhip is equivalent to ONE jellybean? How awesome is that! We were also offered a choice of healthy toppings for the smooth soft serve ice cream. I chose everything – the goji berries, cacao nibs and lupin granola. Can’t wait to try this place out!